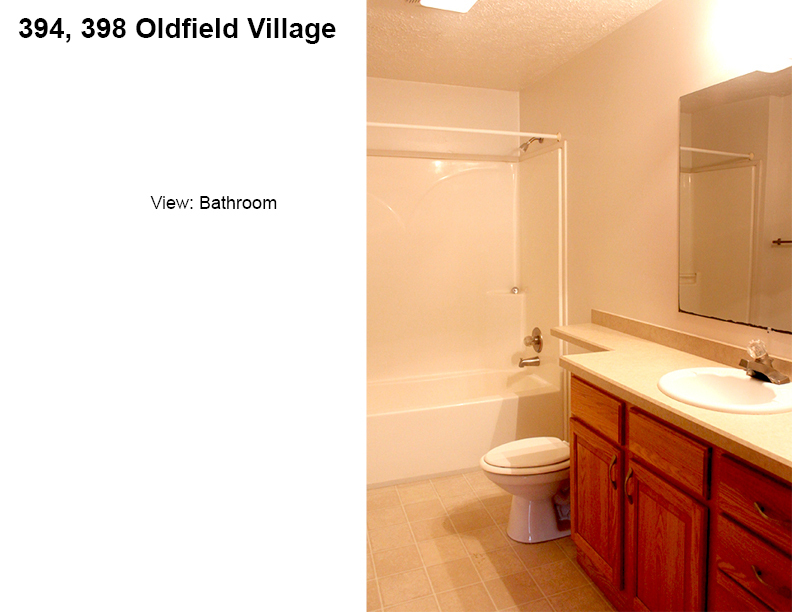 Oldfield Village is a combination of duplexes and mostly single family homes built in 2002-2006. The site is set on 15 quiet acres, surrounded by fields and homes, and is accessed by a private drive. It is located on Barney Oldfield Drive, on the West side of Ottokee Street, about 1-½ miles directly south from the Turnpike or ½ mile South of Airport Highway. 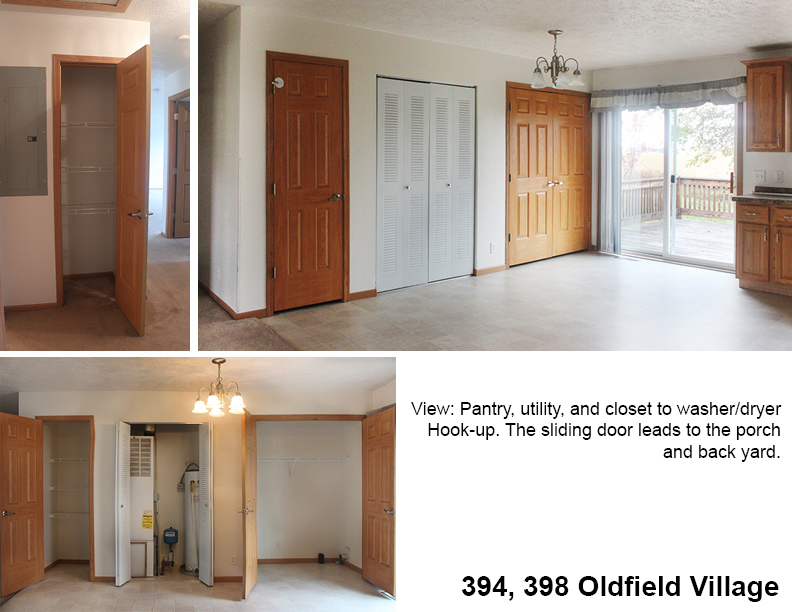 All of the rental units have high efficiency gas heat, central air and heat, range, refrigerator, built in dishwasher, disposal, washer dryer hookup private yard, patio or deck. 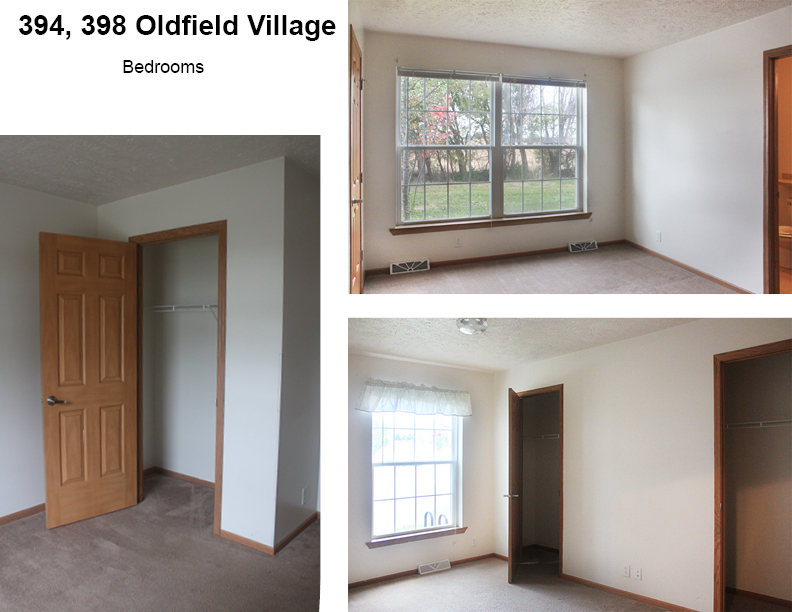 This is the best rental housing available in the Wauseon area. Houses range in price from $709 to $999 monthly. 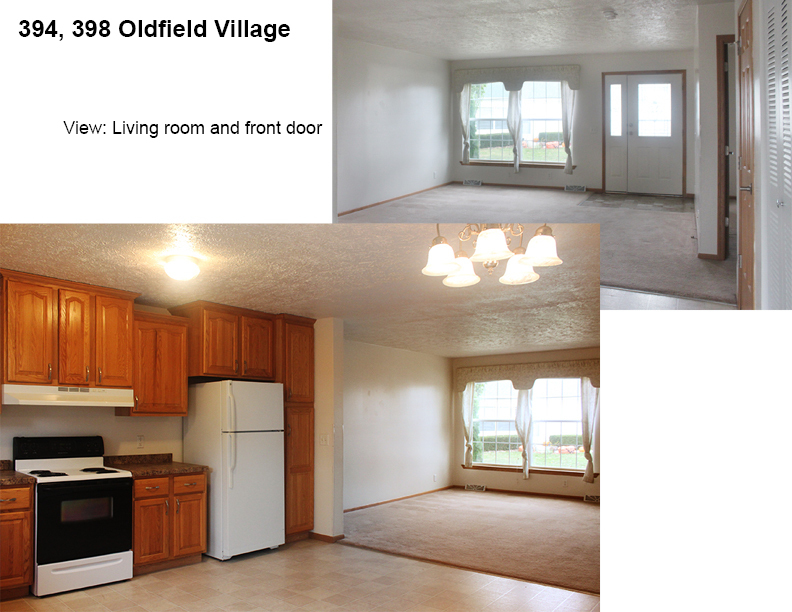 960 ft² duplexes are $659 and 1080 ft² duplexes $719. Units have high efficiency gas heat, central air and heat, range, refrigerator, built in dishwasher, disposal, washer/dryer hookup, private yard, and either a patio or deck. Pets are allowed in all homes; however, please check the restrictions and additional fee listed in the pet addendum. Refuse is included in the monthly rent. 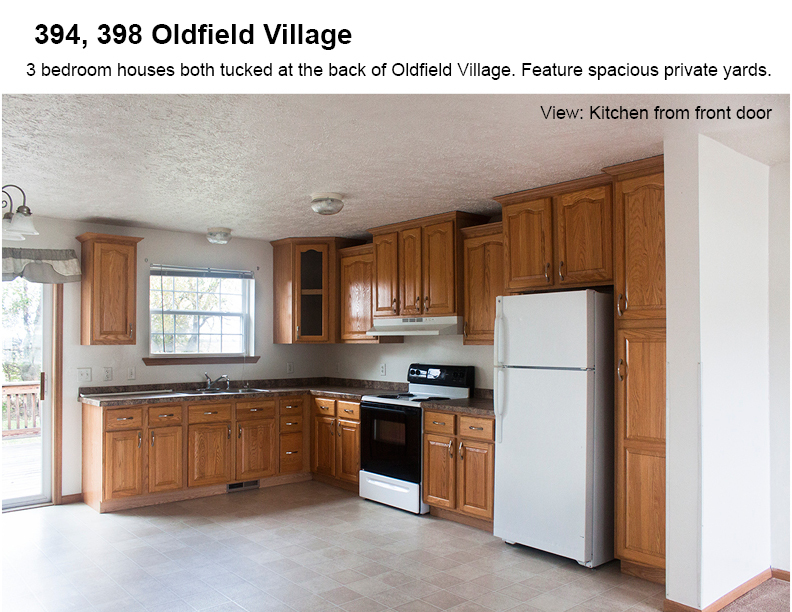 Check the table below for all the features at Oldfield Village. This neighborhood is designed to accommodate families and retirees alike. Nestled off any main roads, the streets in the village are all 15 miles an hour with speed bumps so children can ride their bikes and you can take walks in safety. At the heart of the complex is a playground. On the north side is a half soccer field and half basketball court.